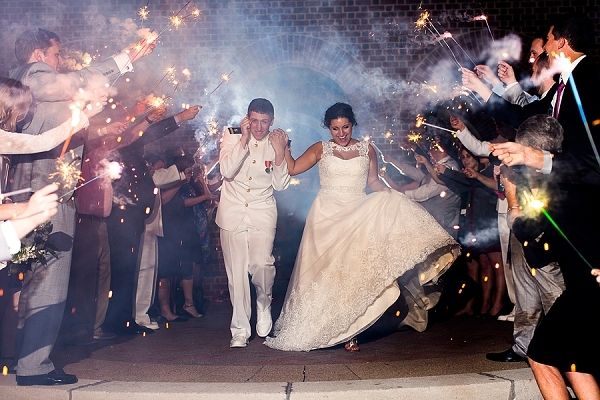 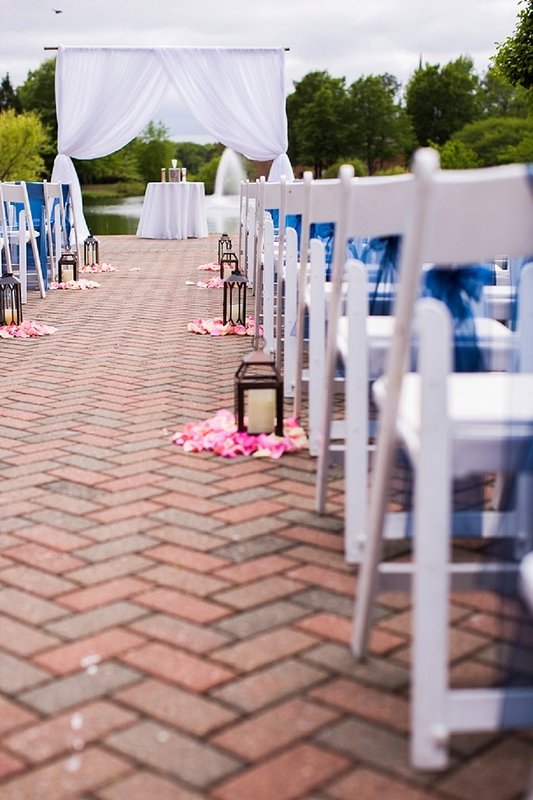 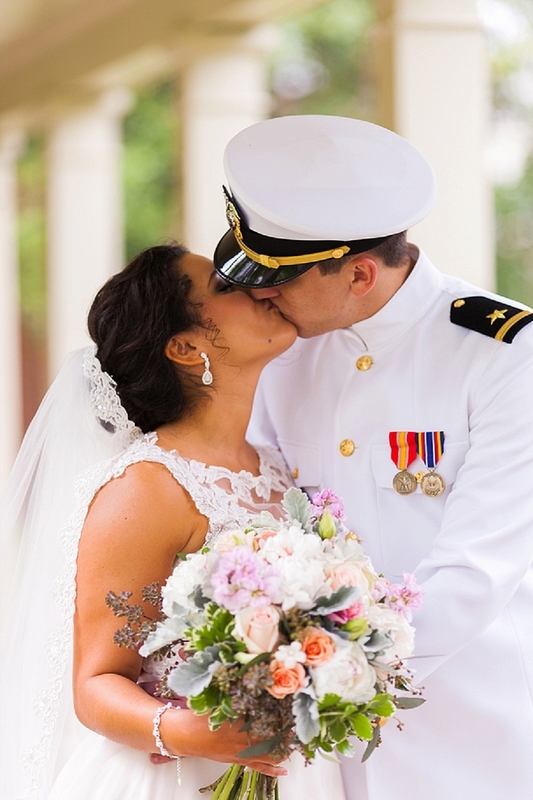 For Hampton Roads residents, military weddings symbolize pride, tradition, and a whole lot of love. 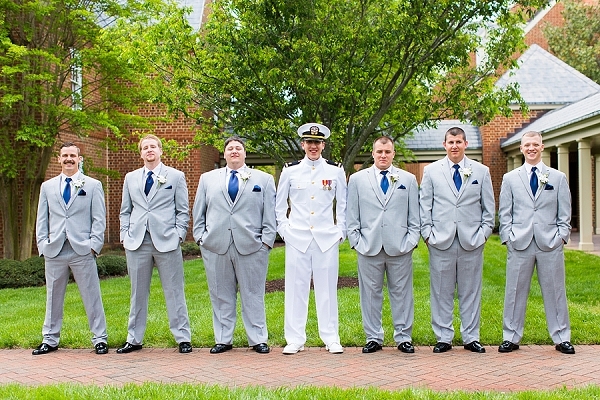 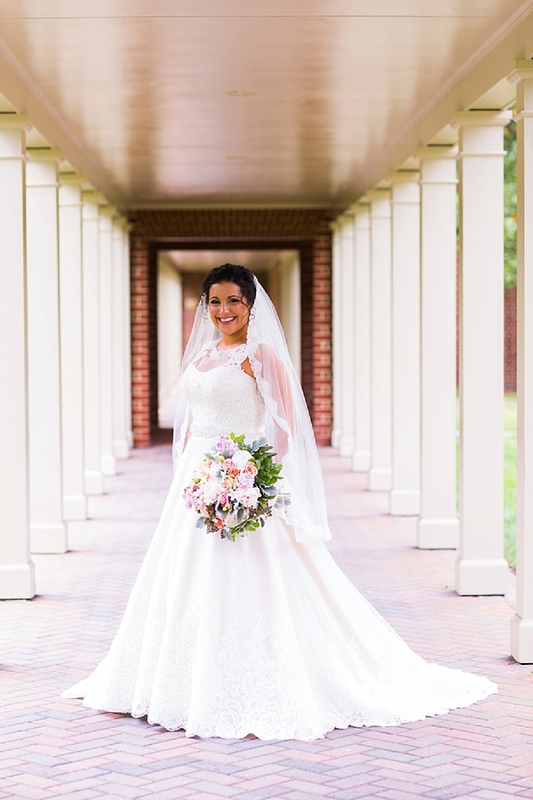 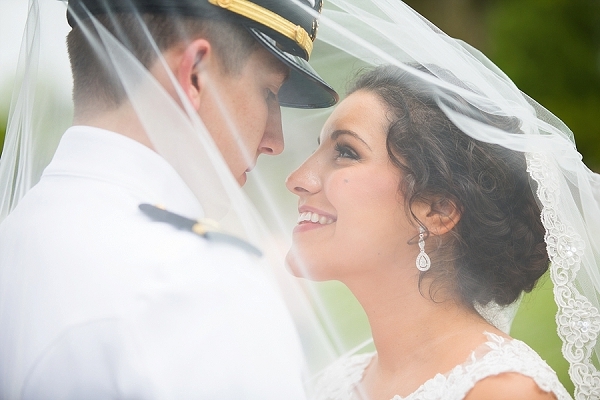 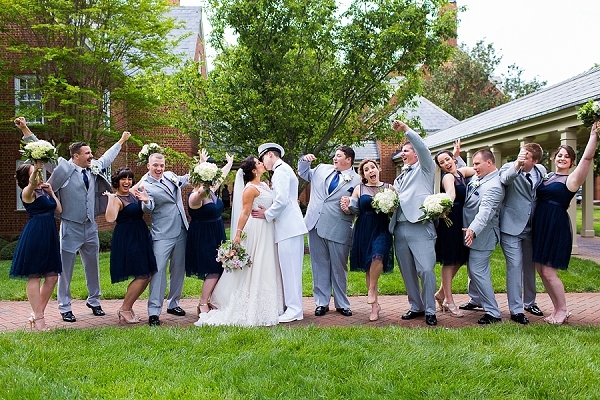 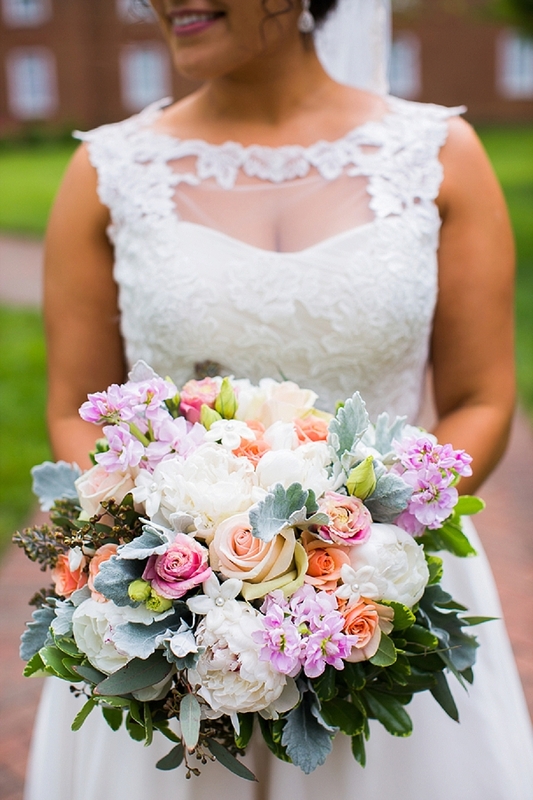 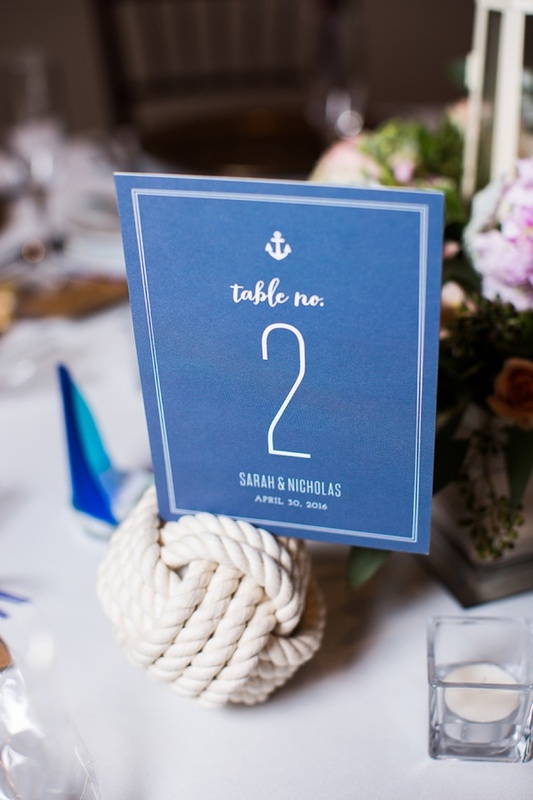 Sarah and Nick took their nautical theme to beautiful new heights on their wedding day at the Founders Inn and Spa in Virginia Beach as Leigh Skaggs Photography captured each and every moment. 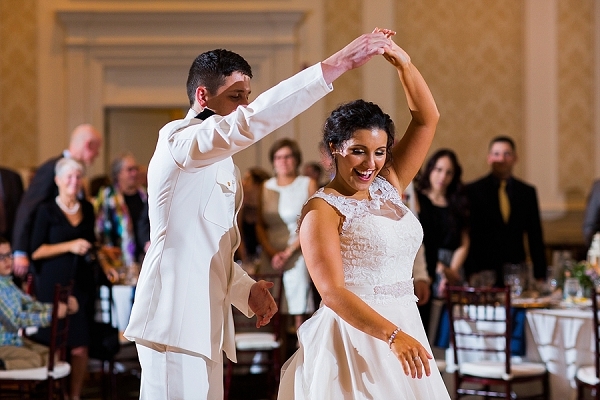 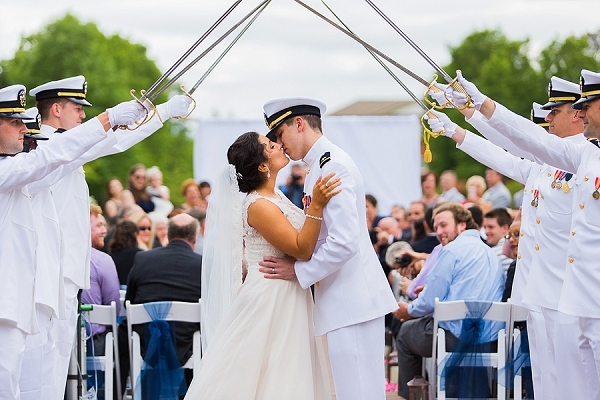 Although wedding planning during Nick's Navy deployment and Sarah's time in nursing school was difficult, when all the details came together, it proved to be worth every second. 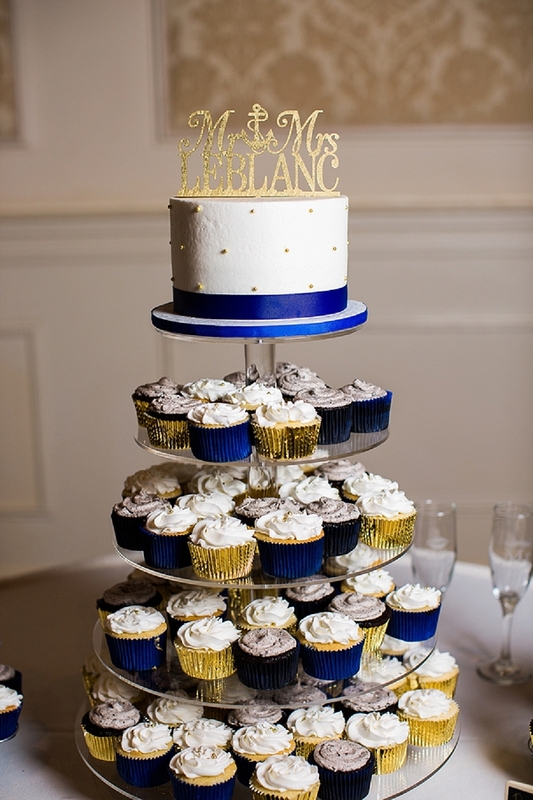 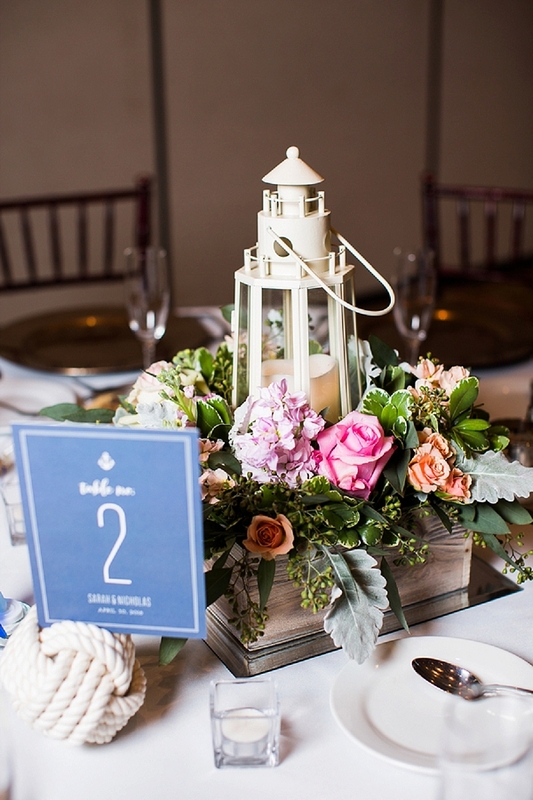 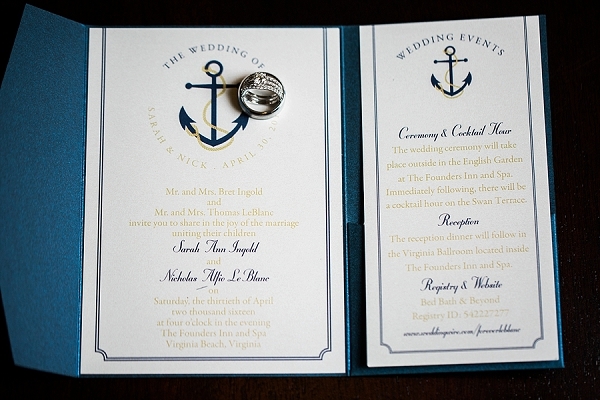 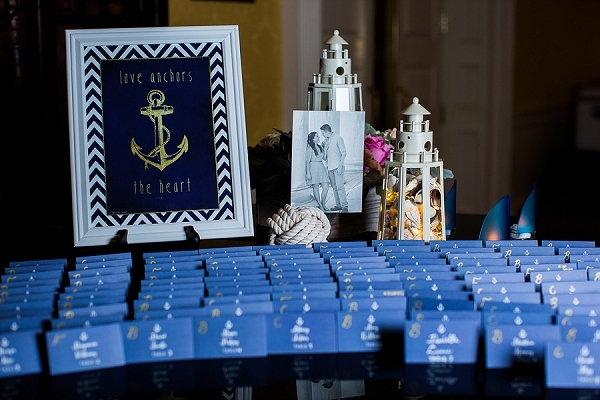 With anchors on everything from the invitations to adorable anchor chocolate wedding favors to signs all over their ceremony and reception, it was a nautical-filled wonderland to get everyone in the celebration spirit. 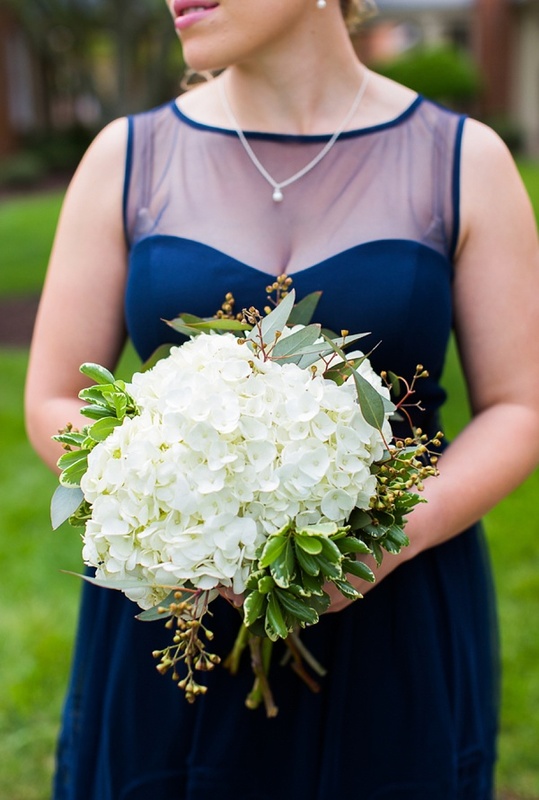 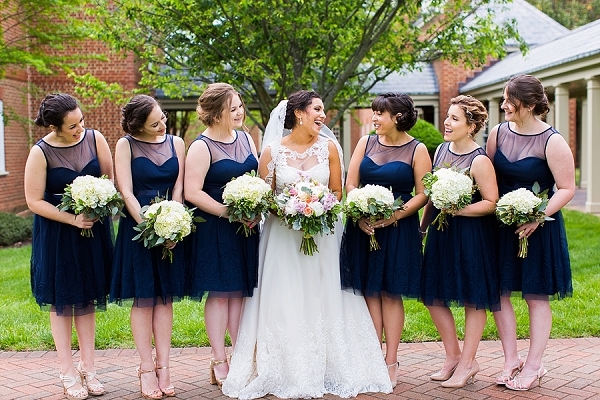 Navy blue bridesmaid dresses perfectly complemented Nick's dapper dress whites as the traditional Arch of Swords greeted the couple in their new life together. 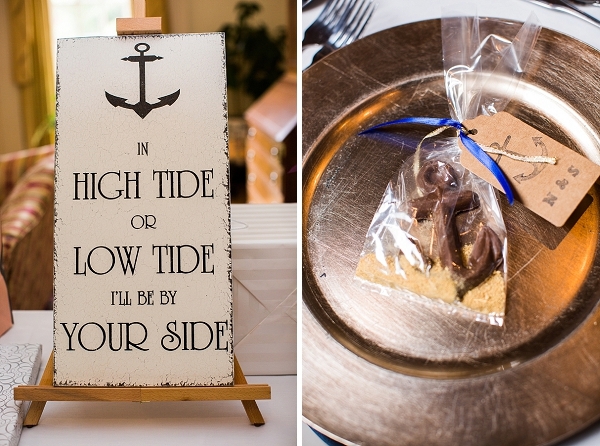 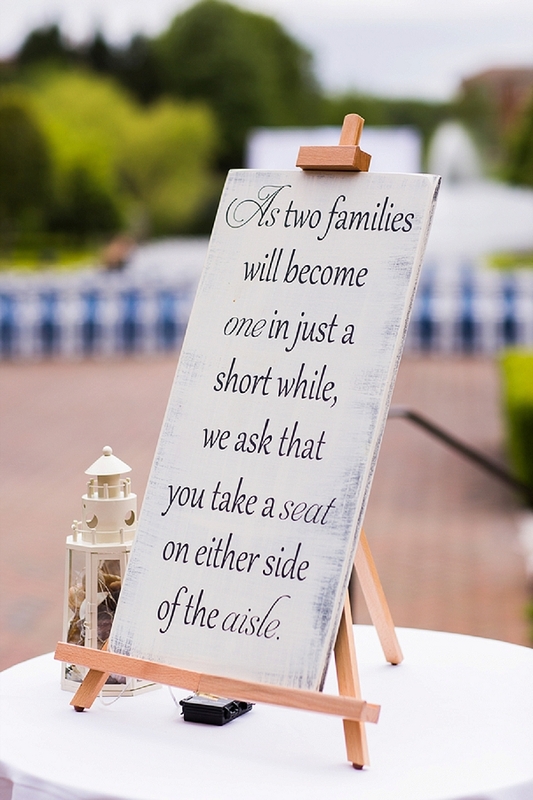 We can think of no better quote for this newly married bride and groom than the one they chose for their reception: "In high tide or low tide, I'll be by your side."